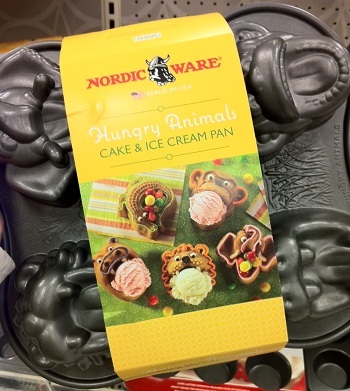 The fun shapes of Nordic Ware’s Hungry Animals Cake and Ice Cream Pan are what initially caught my eye when I saw it. The heavy duty cast aluminum pan bakes five adorable mini cakes in the shape of an elephant, a monkey, a lion, a hippopotamus and a crocodile. The animals aren’t “the big five” that most safari-goers hope to see, but I did see all of these animals on my recent trip to Kenya and it really reminded me of that experience. Being able to capture the spirit of a safari by baking a few cakes is a pretty impressive feat and definitely made this pan appeal to me even more than most shaped pans would! The other thing that makes this pan unusual is that all of the animals are shown with their mouths wide open (although the crocodile is simply coiled up into a round shape). This design was intended to allow you to use the cakes as edible ice cream bowls, as each one will hold a generous size scoop of your favorite ice cream flavor – and the design gives you an excuse not to worry about going out of your way to decorate the detailed shapes. 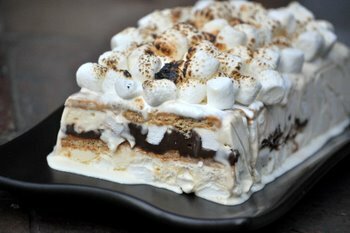 The animal-shaped cakes would also make a nice base for a strawberry shortcake if you opt to fill their mouths with fresh berries and whipped cream instead of ice cream. This is so cute and I think it will be great for summer! Do you think you could use cookie dough in these to make a cookie bowl?